N13bn Ikoyi whistleblower finally gets paid his commission; flies out of Nigeria – Royal Times of Nigeria. 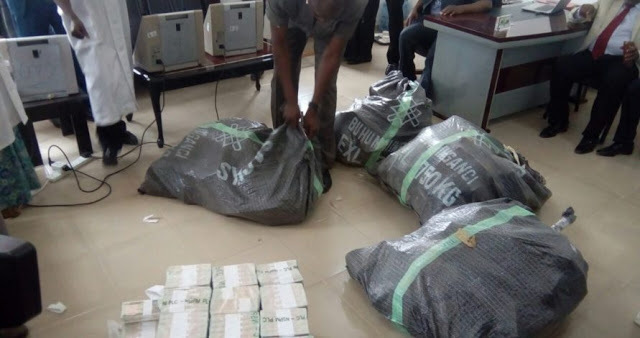 The whistleblower that helped the Federal government recover over N13 billion stashed in an apartment in Ikoyi in April this year has finally been paid his commission. Contrary to the Federal governments fear that he might go mad after receiving the money, the man has decided to leave the country. According to his lawyer, Yakubu Galadinma, the whistleblower was paid N421m and left the shores of Nigeria yesterday morning Wednesday, December 13th. Recall that the Chairman of the Presidential Advisory Committee Against Corruption, Prof. Itse Sagay (SAN), had said that the Federal government is hesitating to pay the whistle-blower because he might go mad after receiving his N860 million entitlement.